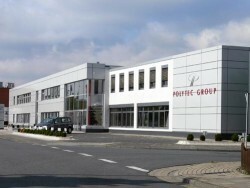 In the first nine months 2011, sales of the Polytec Group decreased by 4.2% to € 527.3m mainly due to the divestment of the Interior business and of Polytec Composites Italia. Adjusted for these effects, group sales from continuing operations increased by roughly 10% in the period under review. This article includes a total of 369 words.